Sue Francis was a determined pioneer whose achievements as a woman, an architect, an educator, a writer and a strategist are woven into many lives. Sue was an amazing person to work with, always generous with her knowledge and expertise while sensitive, clear and very organised. She drew on a multitude of skills and cultures, which allowed her to work across disciplines very successfully. She also had a rich personal hinterland and many at her funeral were surprised and gladdened to hear of an interest or a skill of which we knew little. Sue designed her own clothes. She designed and built her house in Shepherdess Walk, London, along with friends who became family, raising their children together under one roof. She also designed her singular career path and guided those of many others. History will judge Sue kindly because she was right about so many of the big issues in healthcare strategy and design. The book – she co-wrote in 2000 for the Nuffield Trust – Building a 2020 Vision: future health care environments – set out a 20-year development strategy for the NHS, a design primer and an approach that grounded these in the context of broader social and public health structures. It identified and addressed virtually every element that forms the current debate about healthcare provision and reform. Had politicians and strategists followed her precepts, the country would be in much better health. Sue began her professional life in the cooperative movements of the late 70s and early 80s and was a founder member of the Matrix Feminist Design Cooperative, working across disciplines as an architect, enabler, writer and occasional political firebrand. Following the birth of her three children Sue ran a course in Women in Architecture and Building and then in 1991 joined the staff of the Medical Architecture Research Unit (MARU). In Thatcher’s Britain many on the left took refuge in academe or embraced private practice. Her career change could have gone wrong – this was a time of turmoil for MARU, funding was scarce and the unit’s leadership had left. 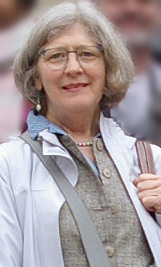 It could have also ended in academic sterility, but Sue, with Rosemary Glanville, secured the future of the course and under their leadership the unit flourished to provide a generation of NHS and international students with a unique education. Sue built a reputation as a highly effective advocate for design quality in healthcare and moved to the national stage. She drew on a multitude of skills and cultures which allowed her to work across disciplines very successfully. She was a brilliant chair and a very effective organiser with a network of contacts across the world. After 15 years, Sue stepped down from her day-to-day involvement and joined CABE, heading its healthcare design team at a time when billions were channelled annually into capital investment. She also joined the Future Health Network at the NHS Confederation as design lead, working with Sylvia Wyatt on developing a learning network and a knowledge base to integrate health system design and architecture. It was a time of over-rapid and often ill-considered development, which Sue had foreseen and warned against in Building a 2020 vision. Nonetheless, she excelled in these roles and succeeded in mitigating or overturning many poor decisions, and secured the role of CABE as an essential component in the design process, improving the quality of a host of projects. Sue had been involved in Architects for Health from its earliest days. In 2011 she was invited to become its programme director. She brought all her skills to bear and turned AfH around, galvanising the committee and creating the successful organisation you see today. Her last five years were tough, but her inner strength proved tougher, as she calmly dealt with everything that her illness and fate flung her way with equanimity and her faith in the power of the human intellect. The European Healthcare Congress is one of several fitting memorials to her vision, the network of contacts and bonds of friendship she had developed across Europe and her ability to bring people together in common cause. Sue will be remembered by her three sons, by the whole extended family of Shepherdess Walk, and by friends and colleagues across the world. This entry was posted in News by adminafh. Bookmark the permalink.